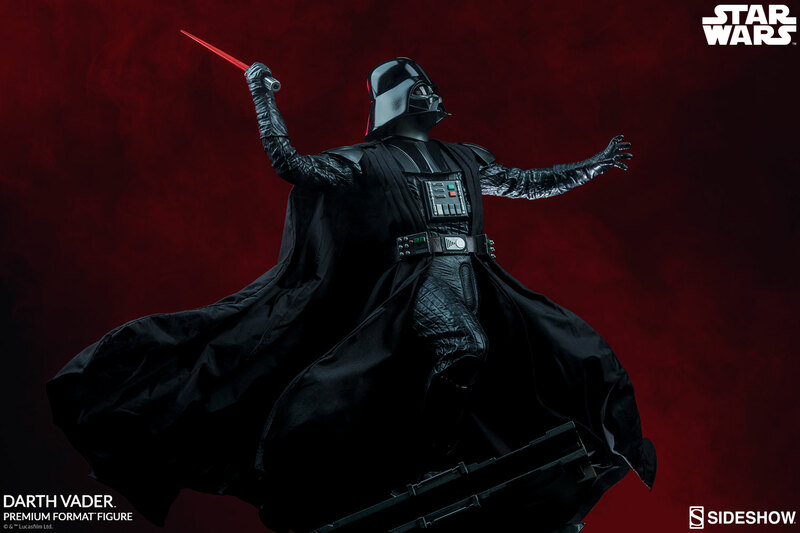 Darth Vader holds his red-bladed lightsaber above his head in a pose of dark rage, suited in his intimidating and iconic black costume. 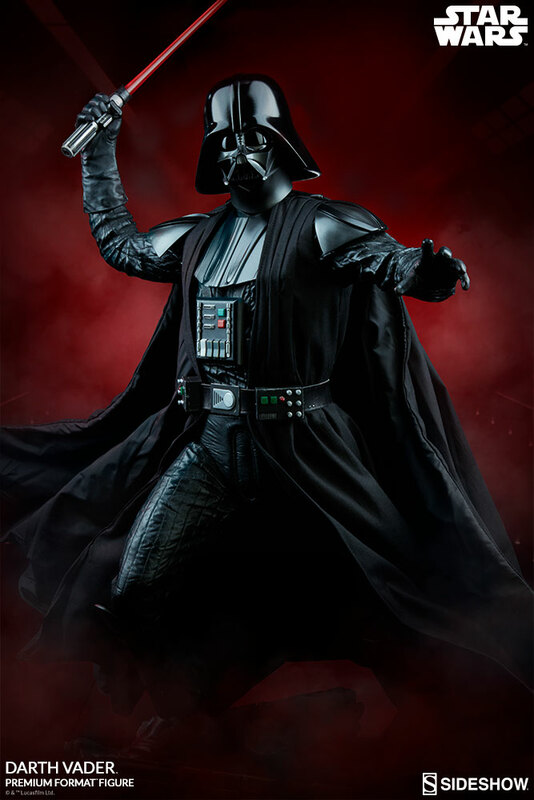 His costume is sculpted with realistic fabric-like textures on the arms and legs, as well as sculpted shoulder and chest armor. 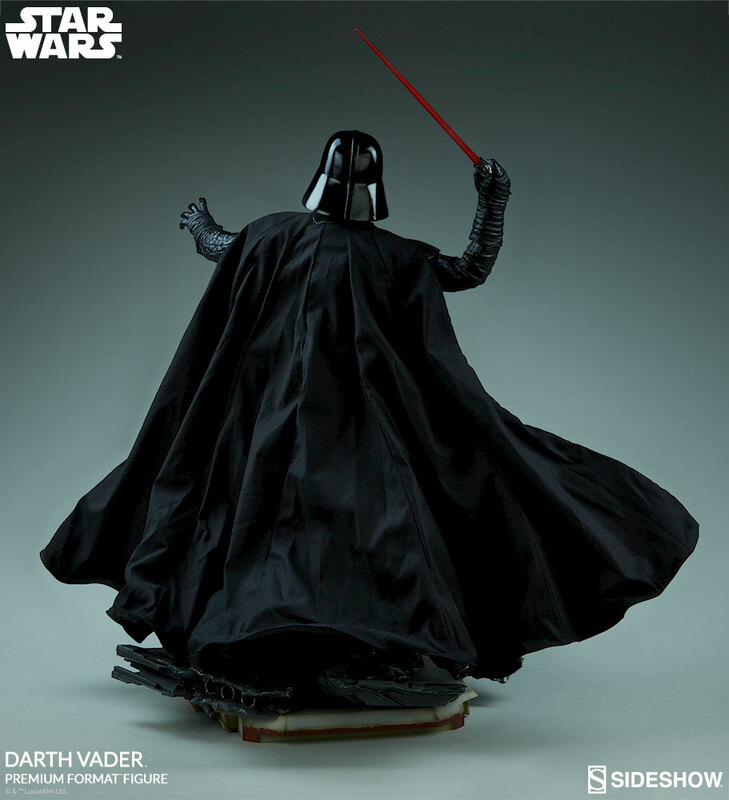 His helmet has clear lenses, and features the chilling stare of the Empire's most infamous Sith. 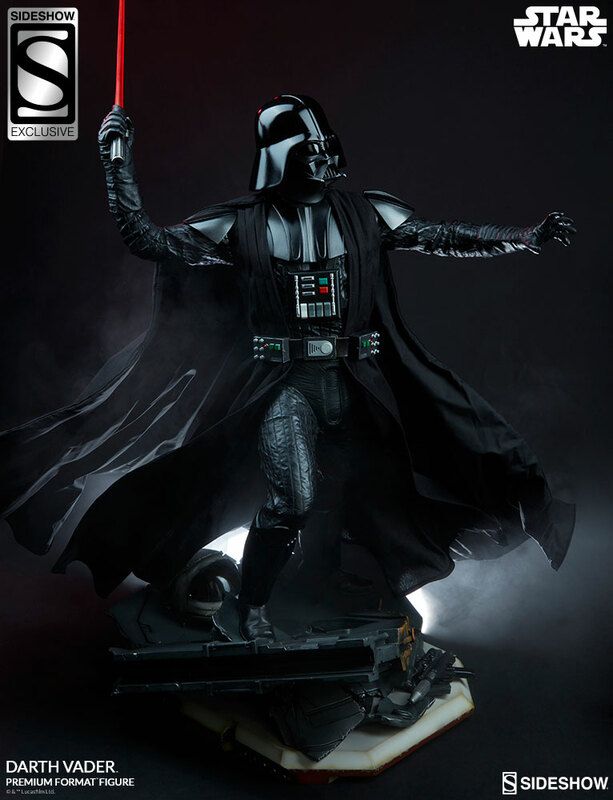 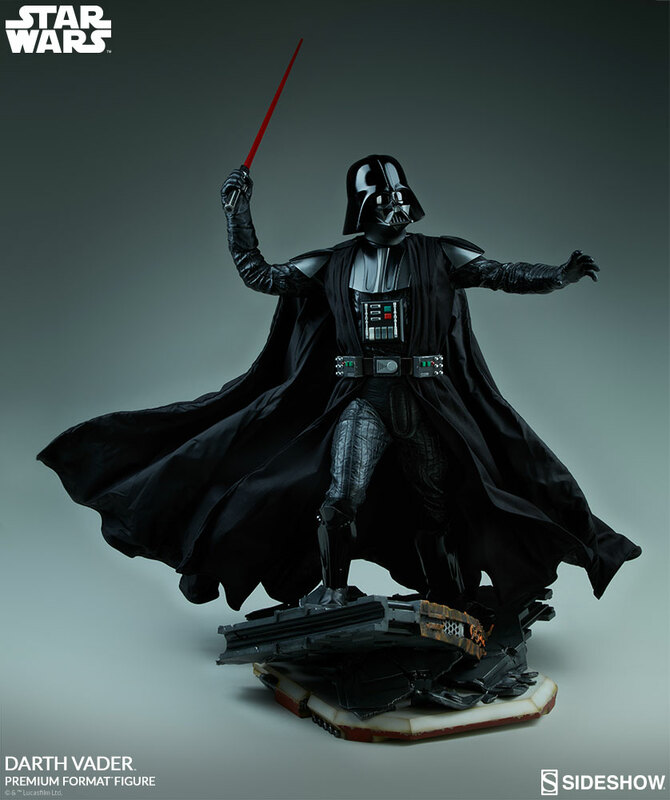 The polystone Darth Vader Premium Format™ Figure also features a tailored fabric tunic and billowing black cape that includes internal wiring for custom posing options. 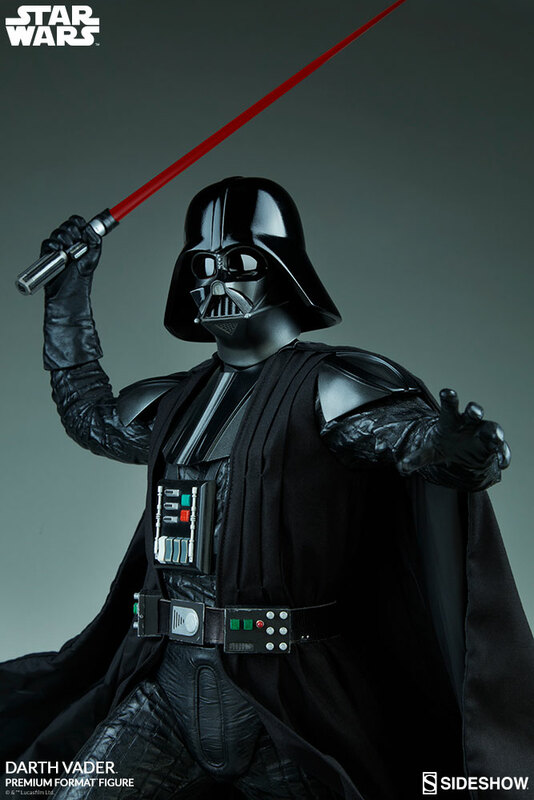 You were not summoned here to grovel, collector. 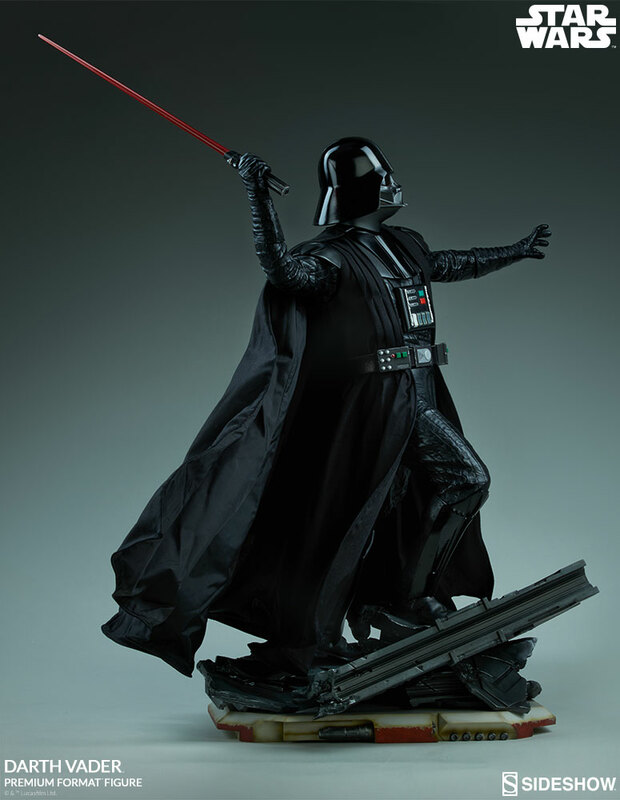 Crush the Rebellion and add the Rogue One-inspired Darth Vader Premium Format™ Figure to your fleet of Star Wars collectibles today!